Setting up your new Samsung Smart TV? Here is super-easy extensive guiding videos and steps that will help to get started with new SmartTV, check out today! Have you recently bought a Samsung Smart TV for home and struggling with the initial basic setup? I got covered it for. The list below contains a super easy guide or I can say a get started manual for any new Samsung Smart TV user. Basically, you’ll get to know where are the basic features that you were using in your old TV, and what all new features are available on new Smart TV. I know there is a lot to cover, hence without any ado let get started! 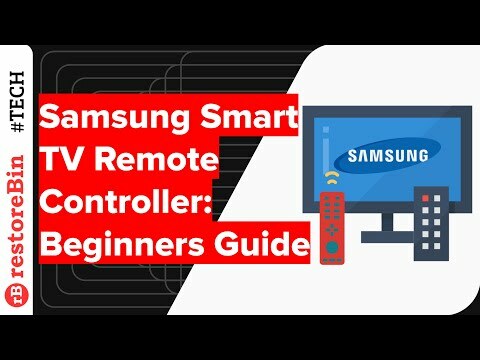 How to use Samsung Smart TV remote controller? How to connect Samsung Smart TV with the Internet WiFi connection? Samsung Smart TV: How to adjust brightness and picture settings? How to move or remove apps from Samsung Smart TV Home Screen? How to delete Samsung Smart TV App or Application? 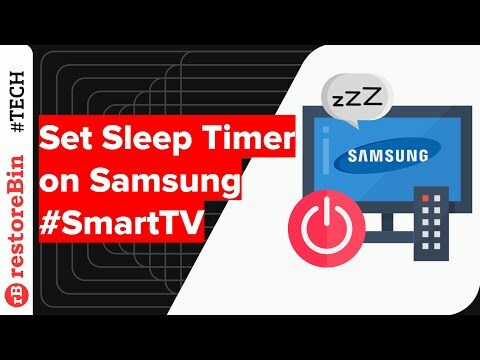 How to quickly enable Sleep Timer on Samsung Smart TV? How to change the display language settings in Smart TV? How to Auto Power Off Smart TV after hours of inactivity? How to update Samsung Smart TV software online automatically? The first thing you will notice is the remote controller. Samsung Smart TV remote controller has a very sleek and smooth design. The remote control is compatible with all Samsung Smart TV. They have replaced all the traditional number pad buttons to include only a few controllers. EXTRA button: used for selection based on the Smart TV App for example when you use Amazon Prime Video on Smart TV at the bottom you will find the color code along with command each color is assigned. It differs from Samsung Smart TV App to App. Note: I got a lot of negative feedback on the below Samsung Smart TV remote video as I have just demoed very basic stuff. However, will be posting another video with advance controller usage including the EXTRA button features. Basically, you have to connect your SmartTV with the internet to access the apps and view its content. I suggest connecting your Smart TV over WiFi rather than any other mode. Reason being able to cast your smartphone screen or control apps if you’re connected within same WiFi network. Before we get started, make sure that you have a strong internet connection and it’s WiFi password. This is a one time set up for WiFi connection. Next time when you turn on your TV, the WiFi network will be automatically connected just like our smartphones. You can also check the network connection status by accessing any Smart TV app like YouTube, and watch for any error like mentioned earlier. If you turn on the TV for the first time, the display is not set up for our surrounding light condition. We may need to adjust the brightness and picture settings to match with our room lighting to make the picture more visually good. There are some preset display settings in the Samsung Smart TV which you can check from Home Screen bar, however, if you need to customize it completely then need to use Expert settings. The Smart TV PIN comes very handy for child lock protection. It helps in setting a lock for satellite channels that you do not want your family or kids to watch. We can even lock the installed apps on Smart TV for protection. Be mindful that if you forget your new Smart TV PIN, there is no way to reset to back to default. You may need to visit the Samsung Service Center to have the system software restored. Samsung Smart TV is pre-installed with a few basic apps, and thankfully the Samsung TV has the feature to navigate and search through Smart TV Apps store and install whatever you prefer on SmartTV. But there are few caveats! One can only install the apps that are available in store but cannot download and install from external sources. Browse and look up for the Apps that you need to install on Smart TV in different category like, What’s New, Popular, LifeStyle, Entertainment, Videos, etc. Also note that the apps are region restricted, example a SmartTV app which is available for the US may not be available for UK region and vice-versa. Check out this list of Samsung Smart TV Apps for more details on regional apps. Samsung Smart TV Apps – How to search and download Smart Apps on TV? Like I mentioned earlier, Samsung Smart TV is pre-installed with few apps and some of these apps are also available on Home Screen bar for quick access. But I few not so useful or never going to use. Hence, I thought of moving or removing useless Samsung Smart TV apps from the home screen. You can easily follow these steps to remove or move apps for Smart TV home screen. Removing Smart App for home screen doesn’t uninstall the apps, instead, it will remove the shortcut access from the home screen. Uninstalling or deleting a Samsung Smart TV app is explained in the next section of this post. How to Move or Remove apps on Samsung Smart TV Home screen? In earlier sections, we have learned how to install, move or remove the Samsung Smart TV apps, in this section sharing the steps to delete or completely uninstall the Smart TV App. Follow the below simple steps to delete the Samsung Smart TV apps from your Television. Note*: You can only delete the Apps that are highlighted in bright colors. The Smart TV does not allow to deleting the system apps which are greyed out in the partially darker color. Uninstalling or deleting the unused application actually helps in gaining the Smart TV storage memory space that allows adding more apps. In case you’re running out of memory, then I suggest deleting the useless apps. How to delete Samsung Smart TV app or applications? I don’t think you need any introduction this Sleep Timer feature as it’s been one of the most used and old features from traditional color TV era. This feature is really useful at night time if you’re watching some shows or movies on TV and you “anticipate” that you’ll fall asleep in say 30 mins. All you need is set up the timer and watch the show worry free. You’ve now enabled the sleep timer for Samsung Smart TV. I think you should also set up an Auto Power Off feature that is detailed further in this guide later. Samsung Smart TV becomes handy when you’re not a native English speaker and want all the options and display commands to appear in the local language. Samsung supports a vast variety of languages globally and which also includes some very local languages. Learn how to change the menu and setting language in your Samsung Smart TV easily. You can easily switch to desired language available from preset language storage for your region. The language change will be applied entirely on your Samsung Smart TV screen within a moment. You can always switch back to English following the same steps mentioned and selecting English as language on step #4. How to change default display Language in Samsung Smart TV? I think every Smart TV user should set up Auto Power Off on your Samsung Smart TV that will actually help to save energy and power consumption. This feature is useful when you’re not around your TV and it’s still running for long hours. Especially in offices after working hours were there is complete inactivity, Auto Power Off feature help in turning off your TV. This feature can be used even in the household just like sleep timer on old TVs. I personally use 4 hours as default power off timer which I think will be most prominent in-case if we are watching an hour and a half long movie and fall asleep. You can also Turn Off the Auto Power Off by selecting the “OFF” command from the list. How to Auto Power Off Samsung Smart TV after hours of inactivity? Lastly, learn how to update the Samsung Smart TV software or firmware online hassle-free. The Samsung regularly push updates to TV software that can help in smooth functioning and bug fixes. But, these updates will be stopped eventually as time passes and your Smart TV become old and incompatible for further updates, just like our smartphones. (optional) If you’ve USB connected to Samsung TV, it will also check for any available updates locally before searching online. However, you can skip these steps if no software files on your USB storage. You can also turn ON Auto-update feature for any automatic updates in future without manual check regularly. How to update Samsung Smart TV software or firmware online? I think I’ve covered most of the guides that you need to get started with, however, please feel free to drop in below comment box if you think any other guide will be useful for starters. Do you know that you can actually switch your existing smartphone data to Samsung Galaxy phones within few button taps? Learn how to use Samsung Smart Switch today! If you've any thoughts on Samsung Smart TV Settings: 10+ super easy set up guide and video demos, then feel free to drop in below comment box. Also, please subscribe to our restoreBin YouTube channel for amazing videos tips. Cheers! How can one see the current resolution running on the TV (tv info) when input comes from an AV receiver and other external devices. I cant seem to find a button to show resolution + hz. I’m tryiny to figure out to have the tv startup with my direct tv when I turn it on. It always is on an antenna channel when I turn it on & my wife has a difficult time switching it to be correct hdmi port to watch direct tv.